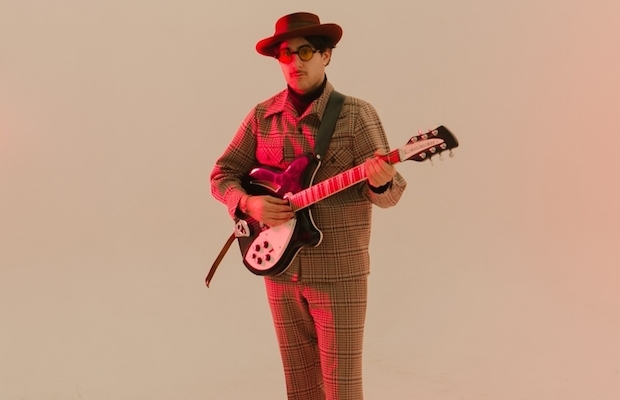 Though his latest EP, The Velvet Face, isn’t officially slated to arrive until this Friday, local artist HalfNoise, the solo musical outfit of recently reunited Paramore drummer Zac Farro, has made the whole thing available to stream a few days early. Across five groovy tunes, Farro takes a sharp turn from the polished, layered, electronic, and contemporary stylings of his recent sophomore LP, Sudden Feeling, instead opting for a more retro, organic, and dreamy direction, which lands more akin to his earlier work, but definitely stands as something wholly unique. Recorded in Nashville at Pioneer Sound, and co-produced by longtime collaborate Daniel James, The Velvet Face feels like the most confident and fun effort HalfNoise has ever made, and stands as a true reflection of Zac’s laid back demeanor and pop sensibilities. It’s, perhaps, our favorite HalfNoise effort to date, and is certainly one of the best local releases of the year so far. Though no release date for Zac’s other band, Paramore, has been announced, their highly-anticipated fifth album is also coming soon. Until it arrives, you can get your Paramore fix on new HalfNoise tune “As U Wave,” which debuted with the EP today, featuring guest vocals from bandmate Hayley Williams, marking the first time Farro and Williams have shared vocals on a track. Pre-order The Velvet Face EP on iTunes, stream the whole thing below, and celebrate its release with a special party at Lucky Bamboo on April 8, complete with dancing, drinks, treats, tunes, and more. Tickets are available for just $5 right here!